In order to maintain security and our members' protection, there is a procedure for entering the room each week. This is stated in the "Rules" Page (http://StockIndexTradingRoom.com/rules/). 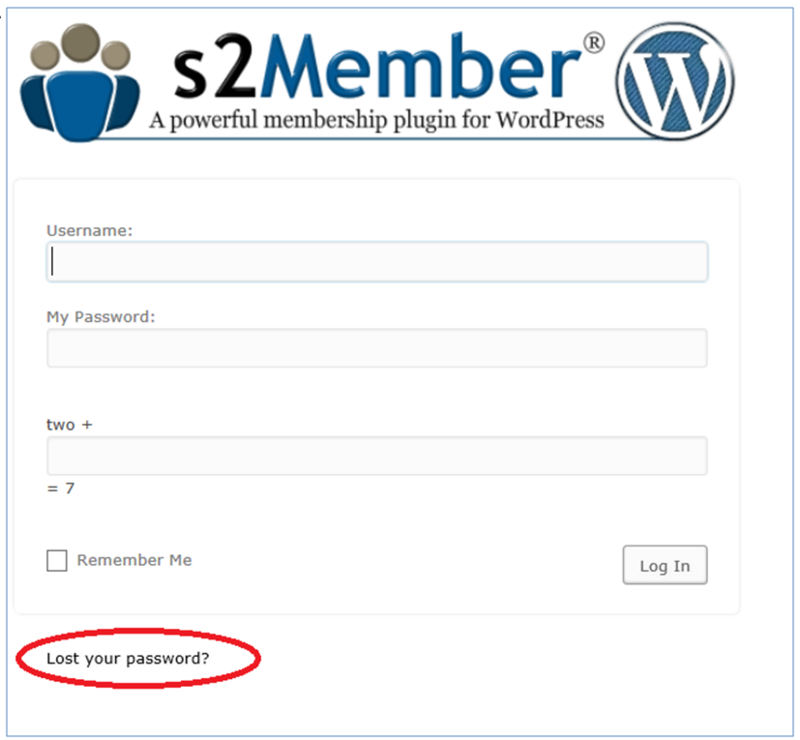 Please log in and go to your members page. There you will find a link to the registration page. Click on that registration link to register and everything will be very clear. 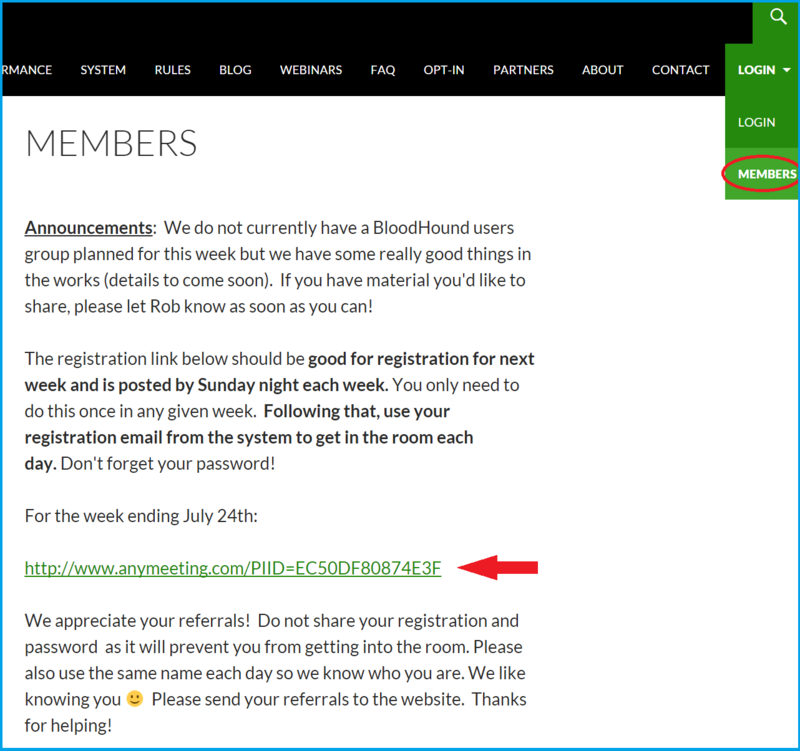 Be sure to save your password (the one you will create during this registration) and the link that it will give you to enter the room. This has to be done each week for your security. This is the only way to get the registration link each week. 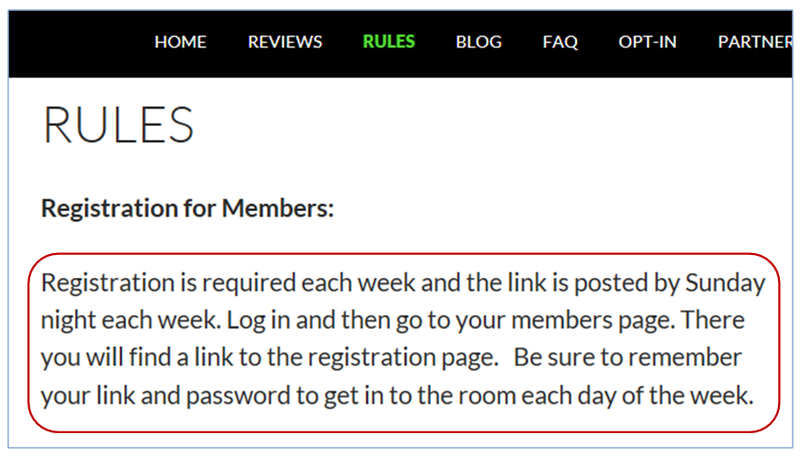 Below is a partial screen shot of the Members area once you log into your account, if you follow the rules you should have no problem getting in. Once you register, a reminder for the meeting is generally sent out each day for the rest of the week, but the reminder won't be sent unless you register each week and we recommend you register early before the meeting on Monday morning, the new registration link is posted every Sunday night for the following week.